One of ArchStudia Vega's clients loves the sea and its exotic inhabitants so much that they asked the Russian firm to build a home that looks like a giant seashell! Each level of the three-story structure represents different levels of the sea - from the ocean bed to the sky above - and receives its natural lighting from an impressive 7-meter-tall stained glass window. 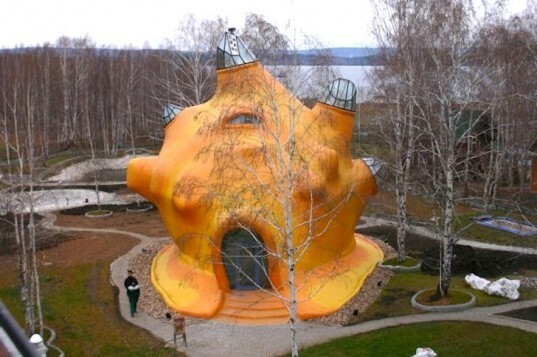 Located in the Tavatuy community in the Sverdlovsk region of Russia, this funky, 228 square meter home really does look like some kind of wild sea creature. Inside, the top level of the home, the main bedroom, represents the air above the sea. The giant stained glass window affords views across the nearby lake, while strategically placed skylights permit additional natural lighting. 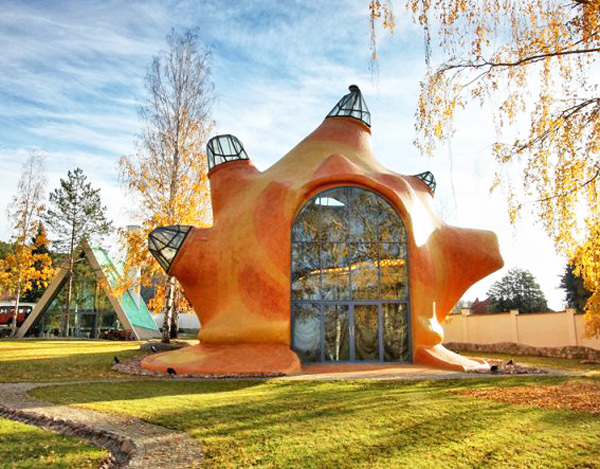 This Gaudi-esque house might be too bizarre for some of our readers. Nonetheless, we think it is a special nature-loving project that deserves recognition. It was completed in 2011. Does anybody else see Gaudi here?